Data is of no use until it is utilized to solve problems most effectively. To add value to the insights generated with data, you needs to present it in a comprehensible format. 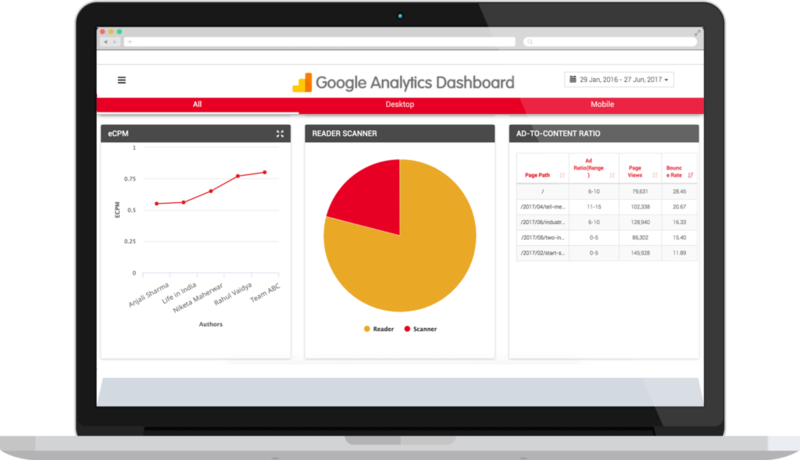 Assemble Google Analytics data in an infographic format with Tatvic’s Google Analytics Dashboards for free. This will come in handy during presentations, an everyday quick view and even during your board meetings. Reporting Interface Dashboard for Google Analytics generates reports based on your most important metrics and dimensions. 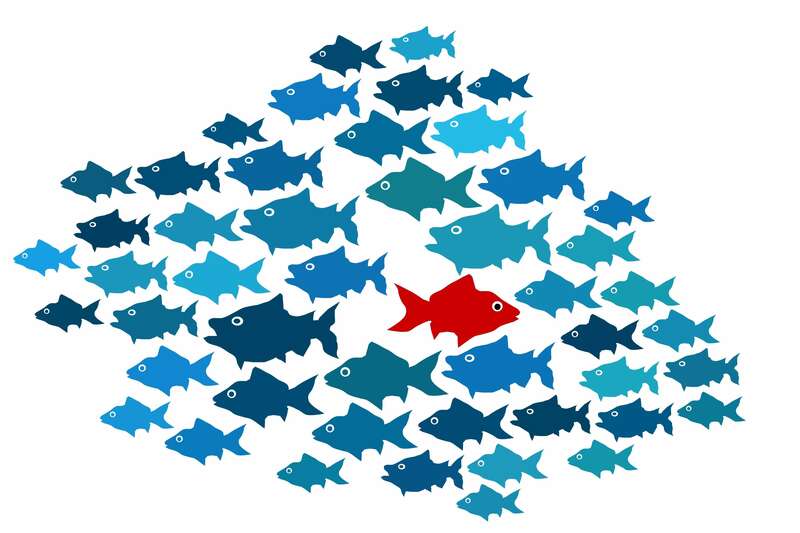 Keep your stakeholders updated with true data that is communicated with good visuals. This will aid in building trust and reliability towards the reports that are presented. Get all sorts of data under under one roof accompanied by good visuals with Google Analytics Dashboard for a quick overview of website or campaign performance. 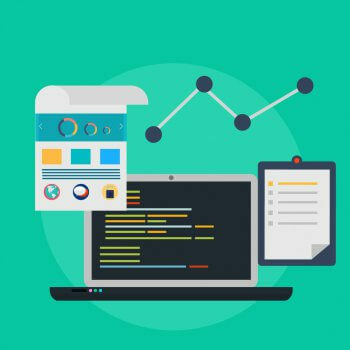 Get real time performance of a new content piece, product, or a web page that you are tracking all on the same dashboard? Use Tatvic’s TV Dashboard that compare releases to take quick and effective decisions. Go Proactive. Avail updates of the outcomes for all the work that is done. Get real-time statistics of team’s effort on TV and encourage them in assisting each other’s work. Take better decisions with Google Analytics Dashboards for free. 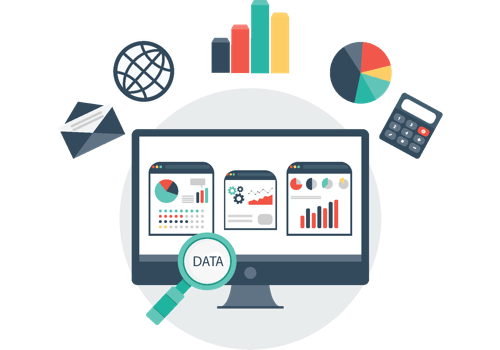 With one time setup feature of Web Dashboard and potential power of insightful data everyday, it is must for any business. Get all your data in an interactive infographic format and make your reports more interesting with Google Analytics Dashboards for free. It also offers you to modify attributes like date range, device and so on. Since it is powered using Google Analytics API, the discrepancy in data is resolved with a relatively higher accuracy. Real-Time Google Analytics Data Visualization Dashboard is not just valid of the current date. It is also packed with data from the beginning of the current month to current date and hence allows you to compare the results. 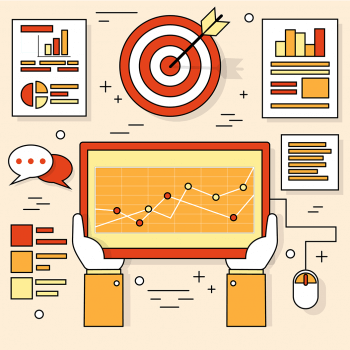 Name any dimension-metric in Google Analytics and our consultants can customize it for you. Avail only that data which adds value in decision making. Get growth with additional support on same from our expert consultants. 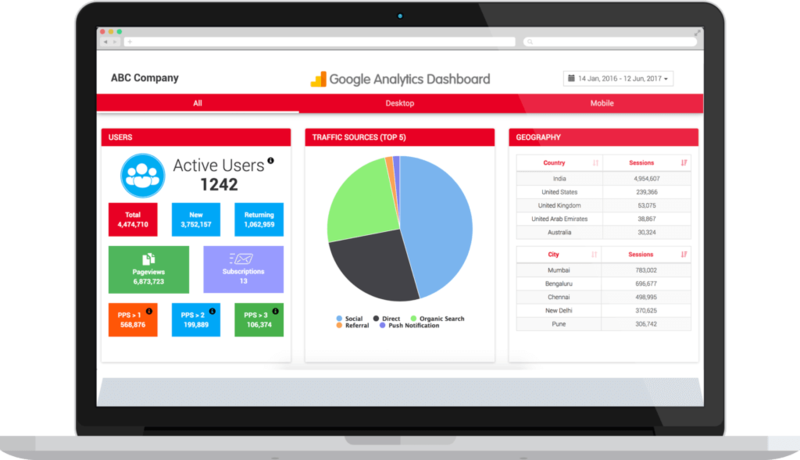 Keep your stakeholders updated with true data that is communicated with good visuals from Google Analytics Dashboard. This will aid in building trust and reliability towards the reports that are presented. With everything on the same plate thanks to good visuals, web dashboard enables a quick overview of website or campaign performance. 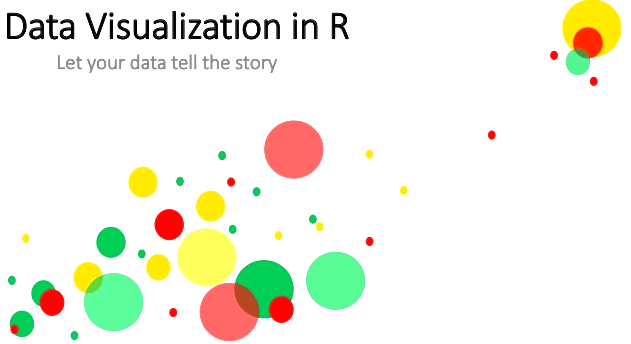 Get all your data in an interactive infographic format and make your reports more interesting. It also offers you to modify attributes like date range, device and so on.